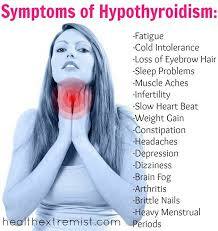 Hypothyroidism is underactive thyroid disease where our thyroid gland does not make enough thyroid hormone. The thyroid gland is located in the front lower part of your neck. Their hormones released by the gland travel through our bloodstream and affect nearly every part of our body, from our heart and brain to our muscles and skin. The thyroid controls how our body’s cells use energy from food, a process called metabolism. Our metabolism affects your body’s temperature, our heartbeat, and how well we burn calories. If we don’t have enough thyroid hormone, our body functions slow down. That means our body makes less energy, and our metabolism becomes very low. Dry hair and hair loss. A normal range for TSH as per laboratories is 0.4 milliunits per liter (mU/L) to 4.0 mU/L. If our TSH level is higher than the required level on repeat tests too then there is a chance of being hypothyroid. Also if we show signs of hypothyroidism and have a TSH reading above 2.0 mIU/L, then there is a risk of progressing into hypothyroidism. The inclusion of Soy, Cruciferous Veggies, Fatty Foods, Sugary Foods, Processed Foods, excess Fibre, and Caffeine must be limited. Fats are an important part of our hormone health, as hormones are produced using good fats. So Cold pressed extra virgin Coconut oil is beneficial for hormone health as it provides the required building blocks for hormone production. Coconut oil if taken with a balanced diet helps to lower cholesterol by assisting its conversion to pregnenolone, the precursor to many hormones. 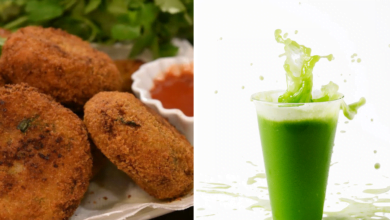 Plus cold pressed virgin coconut oil is rich in MCT ie Medium Chain triglycerides which help in boosting metabolism thereby helps in losing weight. Probiotic-rich Foods include kefir,(a fermented dairy product), organic goat’s milk yogurt, kimchi, kombucha,saurkraut can be included. As probiotics help create a healthy gut environment by balancing microflora bacteria. People with hypothyroidism generally have digestive difficulties, so we need to aim for 30–40 grams of fiber daily. High fiber diet can be included as it will help with digestive health and also improves heart health, balances blood sugar levels. We can start increasing fiber intake by eating more fresh vegetables, berries, beans, lentils, and seeds. Walking is the easiest exercise to start with. All we need is a pair of comfortable shoes. It gets our heart pumping and burns about 280 calories an hour. Water aerobics is a good option. As the water holds you up and lowers the impact on your joints. Yoga can stretch and strengthen your muscles. It helps us to focus on breathing. A study found that people with hypothyroidism had better lung strength after practicing yoga breathing for 6 months. Tai chi “moving meditation,” is a slow-motion form of martial arts which has proven to be a stress-buster. And can help improve strength, balance, and mood. Strength Training is an important exercise in managing our weight. Apart from adopting a hypothyroidism diet and exercise regime, there are many natural ways that we can try as these are effective too. Ashwagandha is a herb that helps the body respond to stress, keeping hormone levels better in balance. It helps to lower cortisol and balance T4 levels. Iodine is present in vegetables, eggs, and seaweed in good amounts. Do we know that even small amounts of supplementary iodine (250 micrograms) cause significant changes in thyroid hormone function in individuals? But the supplements should not be taken with Hashimoto’s disease because of too much intake of iodine for a long-term double the risk of developing an overactive thyroid. Fish oil (1,000 milligrams on daily basis). DHA and EPA both are omega-3s fatty acids found in Fish Oil which are associated with a lower risk for thyroid symptoms. 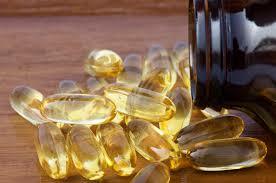 Omega-3 fish oil supplements can help to balance levels of omega-6s in the diet, which is important for health. The thyroid gland contains the highest selenium content in the whole body. Selenium necessary to produce T3 thyroid hormone and can reduce autoimmune effects. Patients with Hashimoto’s disease and pregnant women with thyroid disturbances. If taken selenium supplements decrease anti-thyroid antibody levels and improve the structure of the thyroid gland. Vitamin B12 and thiamine are important for neurologic function and hormonal balance. 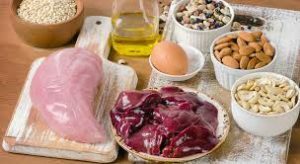 Research shows that supplementing with thiamine can help to combat symptoms of autoimmune disease, including chronic fatigue. 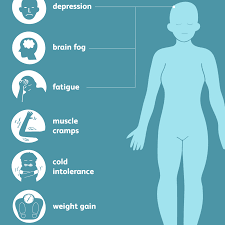 Vitamin B 12 is an important nutrient for fighting fatigue. As it benefits the central nervous system in many important ways by maintaining the health of nerve cells. 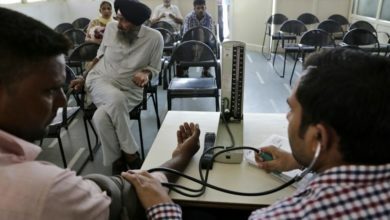 Live healthily and stay fit to fight off your diseases! Shun The 'Devil Crystals' and Ignore the Sweeteners?